The twists and turns of the St. Joe River have a story to tell. It has seen the days when pioneers settled and made their homes along its banks. It has carried steamboats up and down its waters and has bore witness to such legends as Thief Brown and Boathouse Nell. But most important, the river has seen the development of the St. Joe Valley; it has witnessed the making of our home. It tells our history. It was almost 100 years ago that Joseph Fisher decided that the junction of the St. Maries and St. Joseph rivers would be a good place for a sawmill. He chose the spot because there was good transportation and lots of timber. Timber and transportation have remained the principal reasons for the existence of St. Maries. Transportation improved and so did the distance that logs could be economically transported to the mills of the area. After the turn of the century, the city became incorporated. 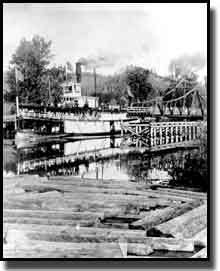 By then, two larger mills had been built and the steamboats which plied the St. Joe and Coeur d’Alene Lake provided cheap, rapid transportation. The coming of the transcontinental Chicago, Milwaukee, St. Paul and Pacific Railroad in 1909, plus the opening of the Coeur d’Alene Indian Reservation to homesteading provided stimuli for further growth in the first decade and a half. The Milwaukee Road pushed a branch line south and east to Elk River and numerous narrow gauge logging railroads criss-crossed the area. 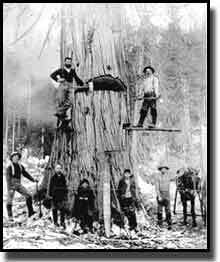 World War I increased the demand on the lumber industry. In spite of the tremendous loss of timber in the Fire of 1910, there was still plenty of virgin stands to meet the demands of the sawmills. The Great Depression was a severe blow to the area, just as it was to the rest of the world. Sawmills shut down and there was very little work in the woods. 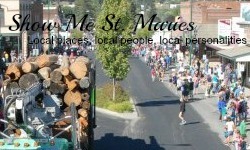 In the late 1930s, just before the Reconstruction Finance Administration was about to auction off the last large mill in the area, the people of St. Maries rallied to help provide the capital to save the mill and get it opened again as the St. Maries Lumber Company — just in time to meet the rising demand of the re-armament time of the late 1930s. World War II years were all-out production years and the decade following saw the demand for lumber continuing into the late 1950s. The three recessions of the 1950s put the local economy on a roller-coaster until 1961 when the St. Maries Lumber Company, the largest employer and biggest mill in the area, burned. The people of the area rallied again, forming the Benewah County Development Corporation, which took advantage of federal assistance to get a plywood mill built on the site of the lumber mill. 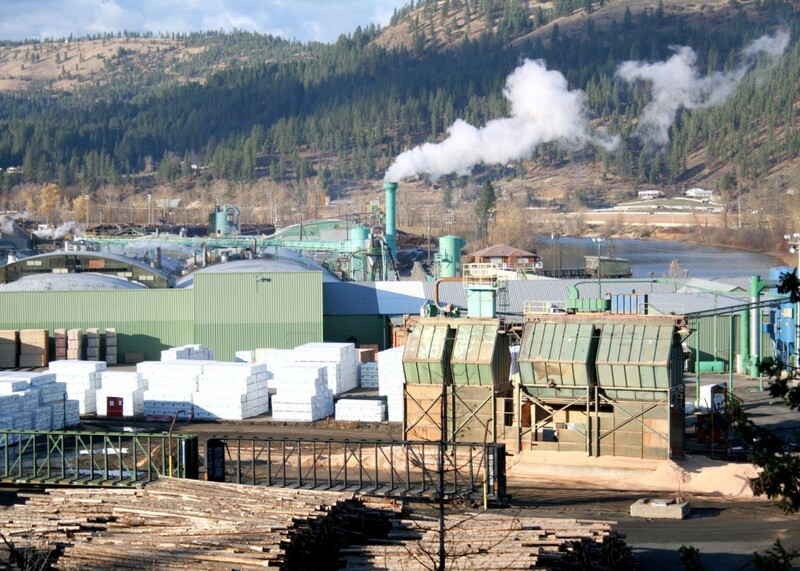 The plywood mill has been expanded several times and came under the ownership of Potlatch Corporation which operates it as part of its St. Maries Complex, which manufactures plywood, dimension lumber and wood chips. In that same period, the development corporation helped finance the beginning of the Rayonier complex in Plummer. In addition to Rayonier, Regulus Stud Mill was opened in St. Maries, thus providing a market and milling for tree sizes which were previously unsalable. The Rayonier Mill and Regulus are both now owned by Stimson Lumber. During all these years, the usual accompaniments of growth appeared — schools, churches, a hospital, tradesmen, skilled and professional people. The beautiful country, recreational opportunities, wildlife and pace of living have attracted an extraordinary number of talented people to the area who prefer and choose to live here.